I am a very busy person but to tell you the truth, I like it that way. 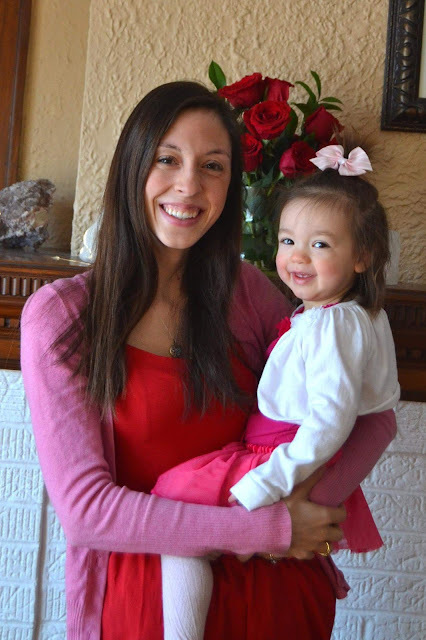 I work full-time as a dietitian, blog 5 days per week, am a mom and wife and take care of our home. 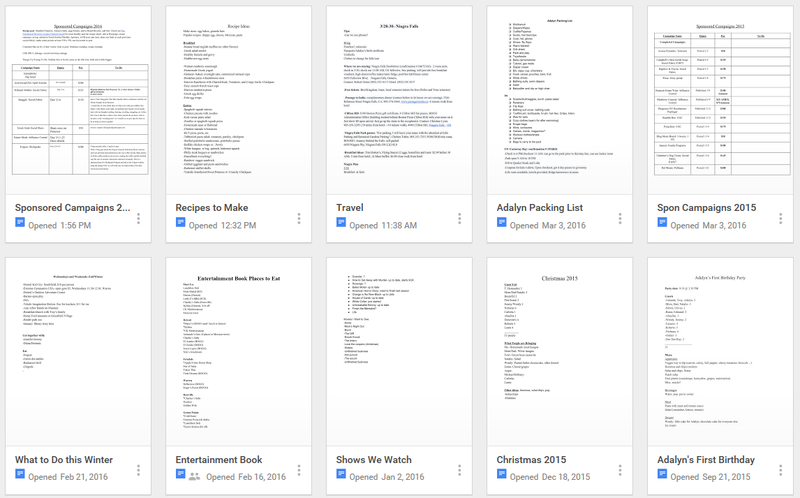 To be able to get everything done, I have to be very organized. I have deadlines, responsibilities and more that require me to stay on my A-game. 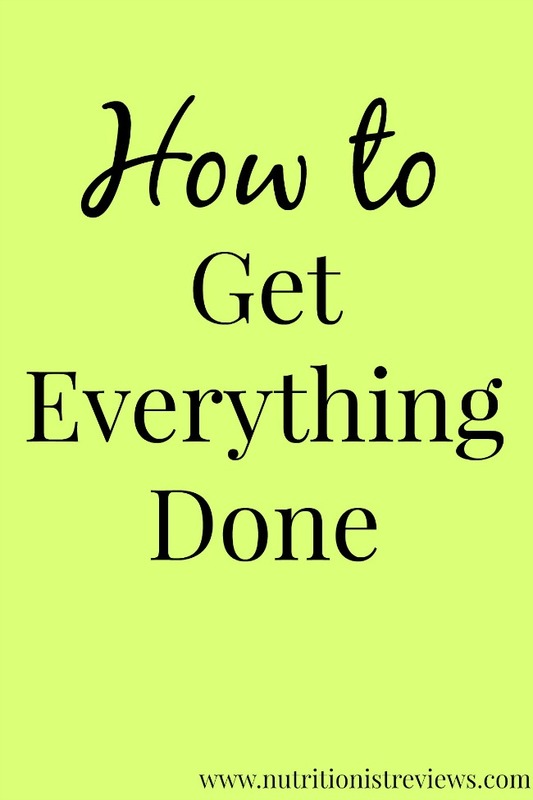 Today, I am going to share some of these tips with you on how I get everything that I need to done. This is so important and helps me to get on track for the week ahead. Usually on Sunday, I cook up a few things for the week that helps our week run smoother. The evenings can be crazy or sometimes, we are just too tired to cook a full dinner so meal prep is key. I often make a big pot of soup, some whole-grains, slow cooker meat, a breakfast, etc. I do not do all of our cooking ahead of time but by doing some of it, I do not feel like I am constantly behind. 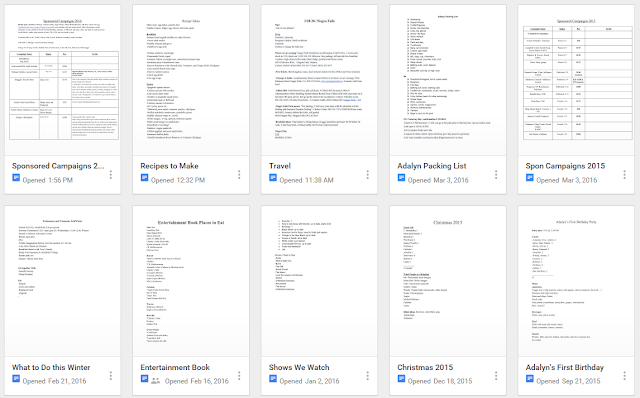 I live and die by my Google docs. I have docs for everything: my blog posts coming up, sponsored posts, income, travel packing lists, things I want to do with my family, travel documents with all of our plans, etc. I find that by having everything in one area, this helps me to be as organized as I can be. Also, it helps me sleep better at night knowing that everything is written down instead of in my head where I might forget it. It is rare that I take a full day off working. If I am not at work, I am blogging. If I am not blogging, I am running errands, cleaning my house, or doing something. To be able to get it all done, to be honest, I have to do some work almost everyday. To accomplish everything that I need to, I get up early. I wake up around 6 AM (usually even on the weekends) and walk on the treadmill while I am answering blog emails and sharing my post for the day. I find that by getting up before my daughter and husband are up, I can accomplish more than if I sleep in. Part of being able to do everything that you want to do is not doing it all. I have to make choices to do the things that are the most important to me or the things that help my business the most. Sometimes, this means turning down things that do not fit into this category. I was recently invited to a blog event that I had to turn down because I would have had to take time off of work, it was not compensated and I could not see any gain from it. When my daughter was born, I decided to go from working 5 days a week to 4 so that I could spend more time with her. Although that decision affects me negatively financially, it is something that makes me happy and is important to me as a mom. I suggest deciding the things that are the most important to you and focusing on those things. Nowadays, you can do so much on your phone. For the blog especially, I can do a ton of my work right from my phone. I also pay bills from my phone, take photos of my daughter, answer important emails and do social media shares from my phone. This helps to keep me organized with reminders of when things are due, etc. I recently purchased the Samsung Galaxy Core Prime from Walmart which is on rollback for $79.92 from $99.92. It has a 4.5" WVGA touch screem and a 5 MP camera. It uses the new Walmart Family Mobile PLUS with unlimited talk, text and data and 10 GB 4g LTE for $49.88 per month. It also comes with a free movie on VUDU (a $7 value). My daughter would love this for watching a cartoon movie on my husband's tablet. I love that it comes with more data which I definitely need- sometimes, I use all of mine up. For those getting a tax refund, you can consider upgrading your plan with the money. When you purchase a phone, make sure you remember the Starter Kit for $25. Follow The Nutritionist Reviews on social media: Facebook, Twitter, Pinterest, Google+, Instagram.